Profile Response: Sara Tlamka of Honey Stinger, Steamboat Springs, CO | How Will We Live Tomorrow? 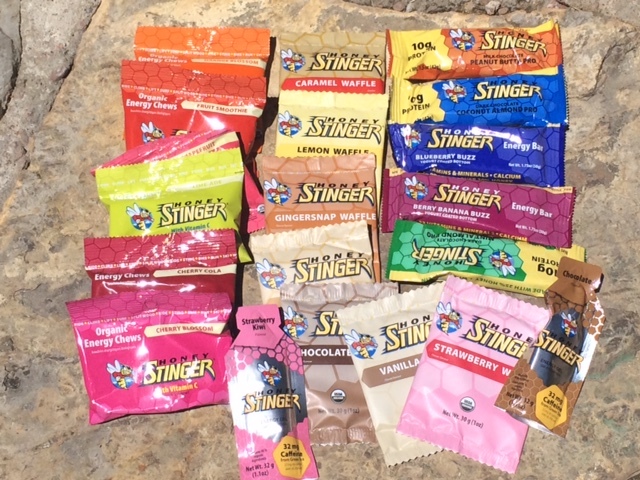 “Honey Stinger is a company with 90 human employees and about 25 dogs.” For Sara Tlamko, Marketing Specialist, that balance represents why it’s great to work for Honey Stinger. Bill Gamber, a local entrepreneur, started three companies in Steamboat Springs. BAP (Bwear Active Protection) is an outdoor clothing company, Big Agnes manufactures premium tents and camping gear, while Honey Stinger sells honey-based energy bars, gels, chews and waffles. 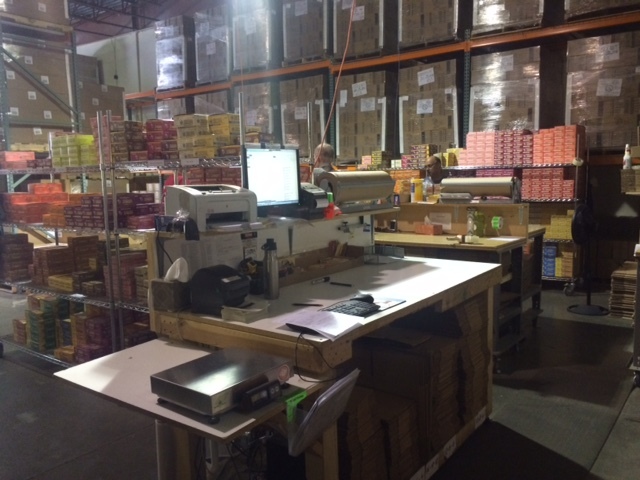 Although Sara insists each employee works for only one entity, the offices, repair shop and warehouses of the three companies have fluid dividing lines. And the dogs have outsized influence in the workplace; they lounge on the coolest areas of the floor while people walk over and around them. 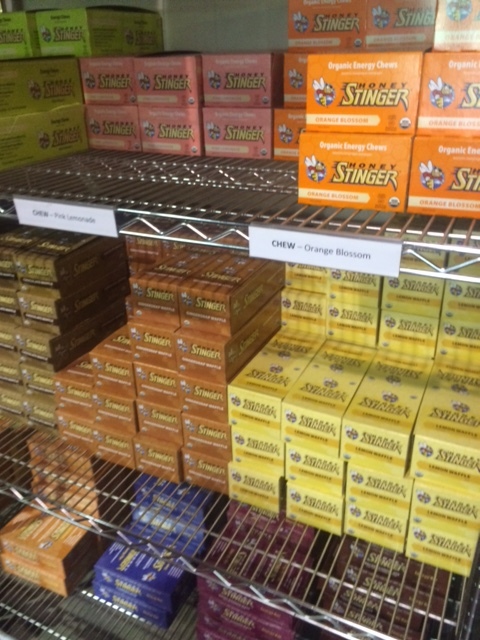 Each of Honey Stinger’s four product lines: energy bars, waffles, chews, and gels; come in a variety of flavors. At the end of the tour, Sarah gave me one sample of each product. I enjoyed honey-based snacks for the next few weeks of my trip. This entry was posted in Responses and tagged Bill Gamber, Honey Stinger, Sara Tlamko, Steamboat Springs CO. Bookmark the permalink.